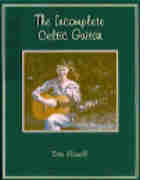 This is one of the few books with flatpicking settings of traditional Celtic music. The book will enable guitarists to take their places next to fiddlers and other melody players in the rich musical traditions of Ireland and Scotland. These lessons, originally handwritten and in some cases were offered only as tab transcriptions, have now been typeset in standard notation and tab. The audio lessons in this series were initially recorded in the 1970's, released on audio cassettes, now remastered for CD. Eric teaches 16 of his favorite old-time fiddle tunes, which are the bedrock upon which acoustic guitar flatpicking is built. They are all included in the 32-page book and three companion CDs of note-by-note, phrase-by-phrase instruction. A strummer's cornucopia of 80 folk favorites! Includes lyrics and chords.